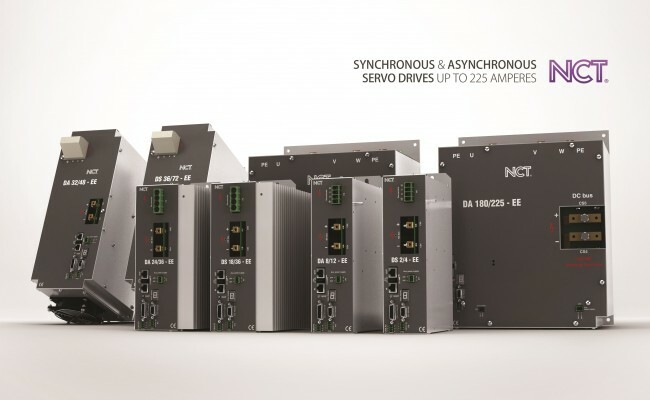 Servo amplifiers of NCT drive system do not contain rectifier unit, each servo amplifier supplied by a separated power supply module. The power supply units and servo amplifier units connected via DC bus. 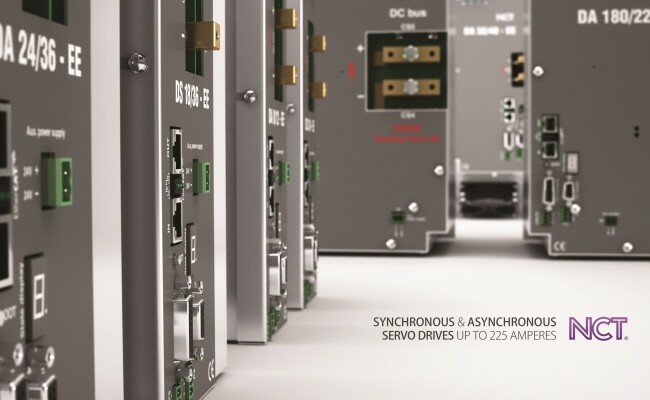 The depths of the different modules are the same and all electric connectors are placed on the front panel, thus can be placed in one row and an aesthetic, clear, cable-friendly system can be generated. The order of the modules is optional, they can even be placed in several rows. 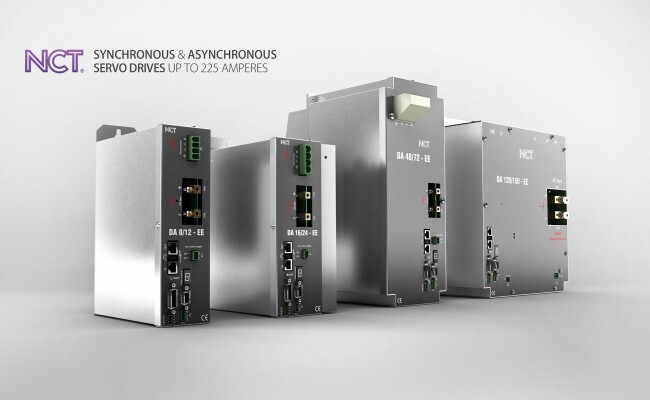 The direct line supply and the modular construction characteristic to NCT drive systems make easier the electric planning, the implementation of line supply as well as the possible future enhancement or module replacement simple.